A gallery in Richmond, Virginia. Katharine Gates was the curator, owner (starting in 1992), designer and publicist. 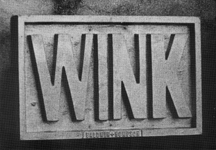 5/14 - 6/26, 1993 Collaborators DAVI DET HOMPSON AND CLIFF BALDWIN create cast aluminum plaques and giant canvas and metal paintings of awkward, funny and disturbing words. Hompson was a member of Fluxus. Baldwin is a filmmaker and designer. 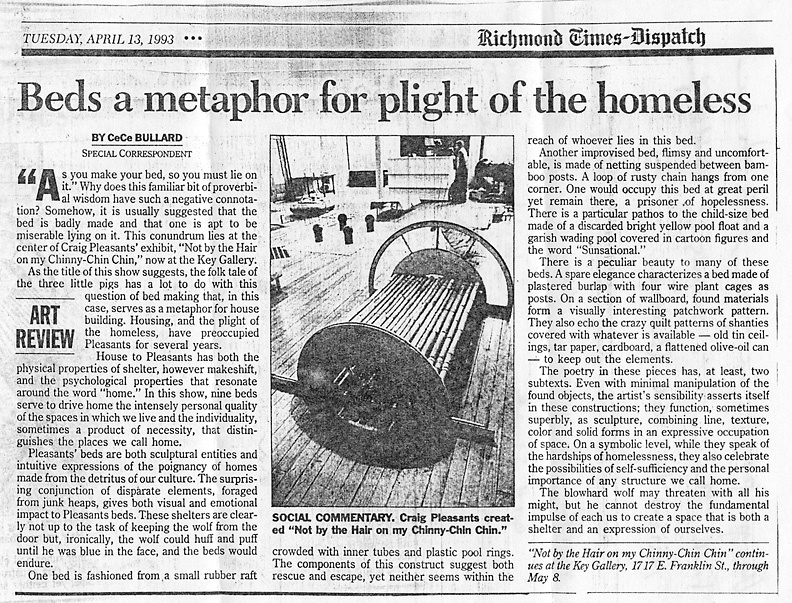 4/9 - 5/8, 1993 The story of the three little pigs becomes the inspiration for a series of bed-like sculptures made of foraged materials. Flimsy, uncomfortable, and yet sparely beautiful. A meditation on home and homelessness. Read a review by CeCeBullard of the Richmond Times-Dispatch HERE. Blum explores the relationship between money and the art world, with tongue-in-cheek limited-edition counterfeit pennies and busts of Abraham Lincoln. 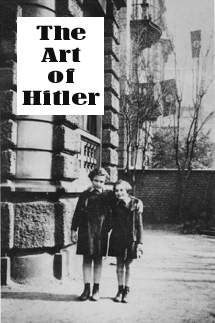 1/23 - 3/6, 1993 New York photographer and curator STEVEN KASHER gathered artifacts, photographs and books that examine the relationship of the Nazi Government and Adolf Hitler to art, design, and photography. This exhibition later traveled to the Contemporary Art Institute. Presented in collaboration with Virginia Commonwealth University. Site-specific installations by 11 graduate students of VCU's Sculpture Department. Charles Brohawn and Chris Mason, aka THE TINKLERS are known for their music (NPR radio) and their paintings and sculptures which explore the disjunctions in man's relationship to nature. 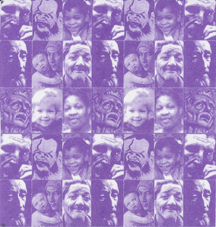 9/1-24, 1992 Virginia-based installation artist CRAIG PLEASANTS covers the windows of the gallery with wallpaper representing the 100,000 faces of homeless Virginians in an examination of the Virginia law that permits barring homeless people from registering to vote. 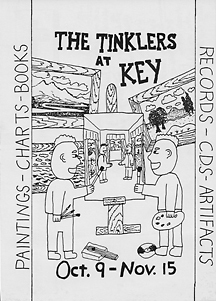 8/20-27, 1992 Key hosts an exhibition curated by the ARTS COUNCIL OF RICHMOND. 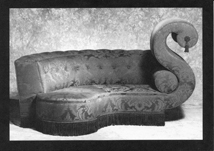 6/20-7/21, 1992 Innovative furniture design for the '90s, curated by Craig Biddle. Artists included DAVID HESS, TRACY SIGLER, JAMES DeMUTH, SARA McCOLLUM, and CHARLES YEAGER. 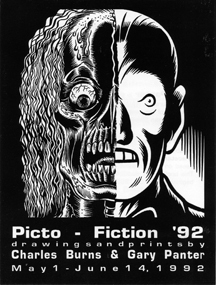 5/1-6/14, 1992 Original art from their celebrated graphic novels Jimbo and Big Baby, plus paintings and prints by GARY PANTER and CHARLES BURNS. Coincides with the publication of Gates of Heck's book FACETASM. 3/13-4/30, 1992 CARYL BURTNER collects the minutiae of daily life: her work represents a lifetime commitment to documenting her everyday existence, from toothbrushes to lipstick blots. Curated by Cindy Neuschwander. Reviewed in The New Art Examiner. 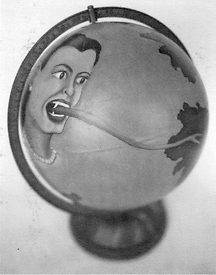 1/24-3/28, 1992 Richmond-to-New York emigres Fleming and Cokes both work in a decollage/montage style. RALPH FLEMING's painterly framed wall pieces are made from scraps torn from bilboards.TONY COKES' video installation for the gallery windows combines found footage and text about the LA riots of the 1970s. Tony Cokes' work was chosen for the 2002 Whitney Biennial. 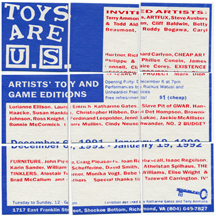 12/6, 1991-1/9,1992 Over 35 artists from around the world created limited-edition toys and games for Key. Includes works by GWAR, Mark Dion, ArtFux, Joan Rabascall and many more. Existence Research Projects created a giant interactive Rube Goldberg device in a the basement art space. 10/25-12/1, 1991 Baltimore outsider PAUL THE GLASS MAN applies colored glass and paint to found wood and scraps, with words inspired by musical lyrics and his unique patriotic world view. 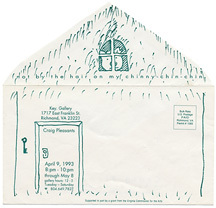 9/20-10/12, 1991 Leslie Brothers and Cathy Emerson curated this invitational exhibition of 35 Virginia artists who created works exploring the issue of AIDS. A benefit for Richmond for Life. 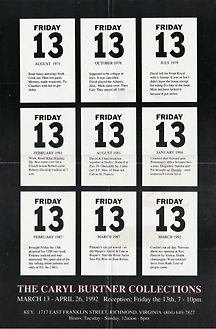 7/19-8/10, 1991 Five artists and artist/collaborators were invited to Richmond to create letterpress posters at one of the East Coast's last large-scale letterpress poster companies. 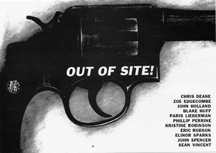 Curated by Davi Det Hompson, the limited edition poster set and exhibition included works by AQUI (Hompson and Cliff Baldwin), Ann Fessler, Kay Rosen, Carolee Schneemann and The Tinklers . This exhibition has toured to Bucholz+Bucholz in Cologne Germany, The Philadelphia Print Club, The Peninsula Fine Arts Center, and Cornell University. The portfolio is in the collections of The Museum of Modern Art, NYC and Cornell University. Reviewed in New Art Examiner and Art Papers. 6/14-7/13,1991 Lorianne Ellison's paintings on glass, wood, and found objects conjure dreams and poetic imagery. 4/26-6/1, 1991 Denise Burge creates multi-panel canvasses with brooding, dark landscapes. Andrew Harper's large floor works made of raw lumber evoke the land and architecture of ancient Greece. 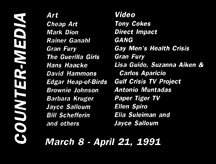 3/8-4/21, 1991 Featuring artists such as Hans Haacke, Edgar Heap of Birds, Paper Tiger Television, David Hammons and Mark Dion, Countermedia explored the role the media plays in our perception of the world. Curated by Katharine Gates. Reviewed in New Art Examiner.